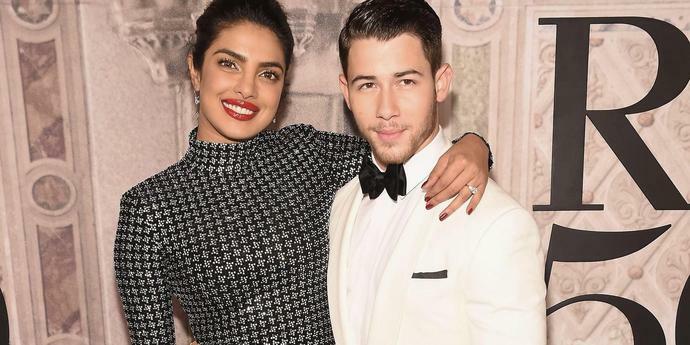 Priyanka Chopra and Nick Jonas, otherwise known by their celebrity couple nickname 'Prick,' are quite possibly the cutest celeb couple that ever was (don't @ me). First they go off and do charming things like publicly beam at each other and write each other sweet Instagram messages, and now they are turning their cuteness up a notch by wearing coordinating traditional Indian outfits. And if you take away nothing else from their coupledom, please just note that Nick looks great in everything and that these two are absolutely meant to be.